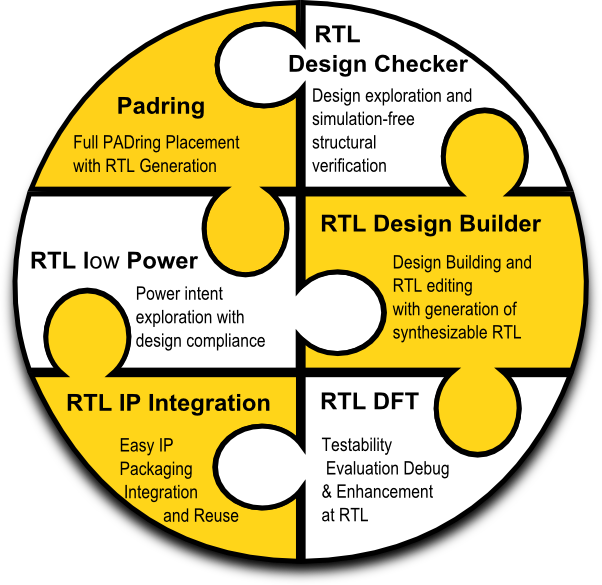 STAR is a RTL design solution which helps in design exploration, editing and structure verification. Based on set of EDA tools that work seamlessly together, build a complete solution to shorten the path towards a ready for synthesis RTL code. Through its unique “Build&Signoff” design capabilities, STAR offers to designers, in one script, the ability to extract design information, edit and generate the synthesizable RTL code and finally signoff the resulting RTL code. Offer flexibility, in-depth design exploration and debug through Tcl interface: query design objects, extract fanin / fanout cone, extract hierarchical paths, etc. Complete set of commands for incremental editing during the same run: add / remove instance, nets, ports, create / modify connections, change instance references, rename designs etc.